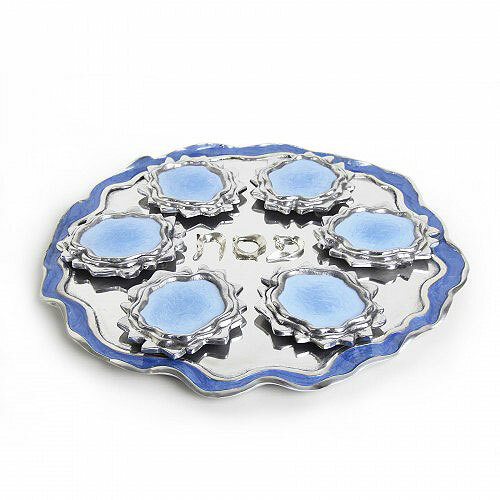 Description: 14"DIA X .75"HThis Beautiful Seder Plate Was Inspired By The Sea. It Is Hand-Painted With Enamel On Aluminum And Includes Six Removable Splash Bowls. The Hand Painted Technique Throughout The Seder Plate Mimics The Look Of Moving Water.